Not everyone has the same view of what an author platform should be. A simple explanation would be: to have the power to sell books because of who you are and who you can reach. 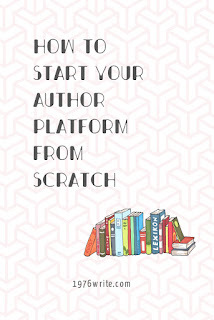 The author platform idea came into being during the 1990s when agents and publishers began rejecting non-fiction book proposals and non-fiction manuscripts, when any author lacked a platform. Long before the internet really took off publishers wanted the author to be in the forefront in the public eye (this was done through mainstream media appearances) giving them the ability to easily sell books. The average Joe at home had not public presence or professional network to sell books to. Publishers still seek out writers with credentials and authority, who are noticeable to their target audience as an expert, authority figure, or professional. 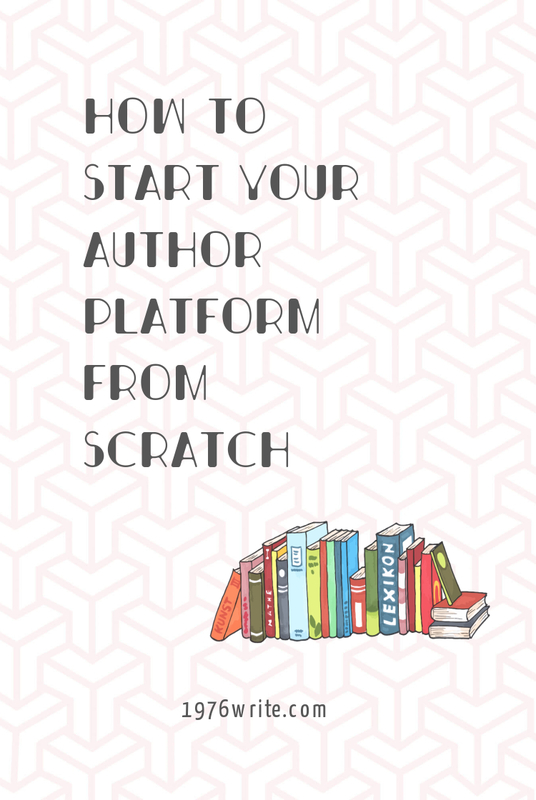 If you're really unsure about how to build your author platform check out my list on how to start from scratch. You need to show how awesome you are at what you do. What makes you special from everyone else to write your book? Why can no one but you write your book? What kind of knowledge do you have that no one else has? It could be that you've had a hard life and you're amazing for surviving it. A lot of fiction draws on life experience and situations you know a lot about, which makes you proficient at what you're writing about. You need to start valuing your abilities and believing in what you can do. Faking til you make it will give you the ambition and drive needed to get you there. Think of anyone you know as a contact. The longer your list of contacts the more authority you have. People love supporting fledgling authors that are just starting out, because they were once in your position and know how it feels. Imagine your dream list of people, people you want to recommend you and your book. Then start building your list. You only need two. Start your profile and begin publishing on each once a day. If you have certain preferences choose which ones you think will be the most beneficial to your chosen genre. You need to get into the frame of mind of posting regularly and engaging with your followers. Give your readers value with your blog posts and always share other bloggers content. It can take a while to build a really serious social media following, don't let that stop you. Remember your running a marathon not a sprint. If your all out of ideas for your ebook you could try turning your blog into an ebook. You'll discover that over time you'll have a number of posts that you can use and edit to create a first ebook. You can quite easily do a simple ebook with very little knowledge of self-publishing and sell it on Amazon. Sign up here and get a free copy of my ebook Discover the Writer in You. A lot of people like to create a persona and put forward something totally different to who they are in real life. You're not crazy for wanting to keep a bit of privacy. Being an introvert doesn't mean that you shouldn't start your own author platform, that way you can lay down your own rules and boundaries. After you've created your website you need to create a signup form that hooks up to an email management system, you could try MailChimp or Mailmunch. Put it on your main blog page, about page or start here page. Or all three. Start the form and think about the numbers later. You could also offer your readers a free ebook when they sign up as a little incentive. Make a simple plan and stick to your schedule. Your readers will expect your content to turn up at certain points during the week so you need to make sure you follow through consistently, even if you don't feel like writing. It's a lot of hard work but the benefits outweigh the hardship. If you want people to read your books and your blog you need to give them something to read. You really need to put yourself out there and connect with your readers. Start writing and publishing straight away and get a feel for what your readers want. 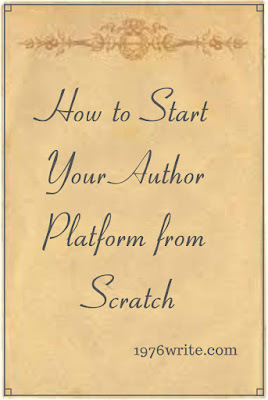 Building an author platform takes time and discipline. 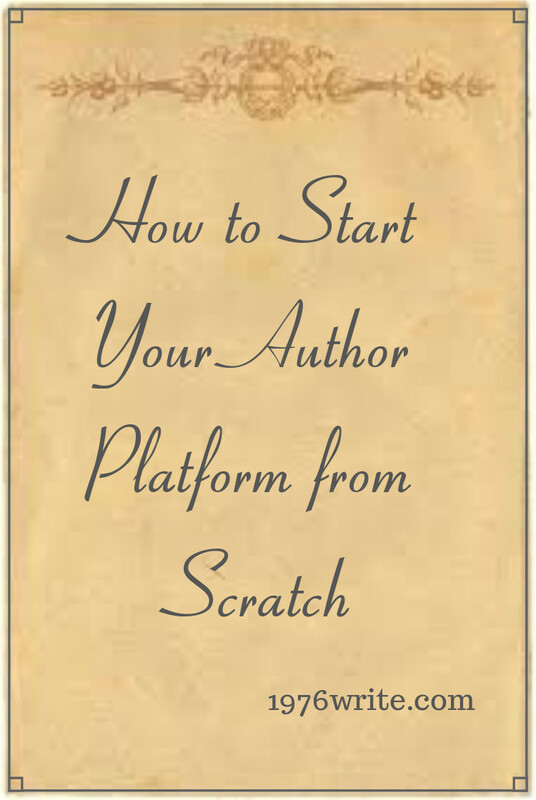 Starting an author platform should also be a creative process, much like your writing. It should give you the power to market you and your writing effectively.